 CHATEAU BEAUBOIS launches a militant wine to relocate the jean to Nîmes. With their new collector wine « Ramenons le Denim à la maison », Fanny and François Boyer, winemakers at Château Beaubois in Costieres de Nimes, present an organic red militant and supportive. All profits from the sales will be transferred to Ateliers de Nîmes. The project is to relocate the weaving process of denim fabric in the eponymous town. Focus on this elegant and participatory wine. Products of our finest organic plots and vinified with great care, the latest creation of Fanny and François Boyer, winemakers at Chateau Beaubois in Costieres de Nimes is a personalized wine, took a fine and elegant image from the wines of the winery. If this delightful red with a dark purple color, fruity and clean smell, silky tannins is a fine representative of the Rhone Valley, it has also an originality: to help in the return of Jean in Nimes. The creation of the wine “Ramenons le Denim à la maison” is born in 2015 while Fanny Boyer came across Guillaume Sagot, co-founder of Ateliers de Nimes. “I have a crush on this project that the goal is to relocate the manufacture of Denim to Nimes. We have, with the creators, the same connection to the land and to the Nimes city. We share the same belief about the benefits of the local production and the advantages of Made in France”, explains the winemaker, very enthusiastic to the idea of launching a campaign of Crowdfunding to support this project financially. All profits will be transferred to this Nimes company and help to acquire weaving skills in the 1950s. Offered in a limited series (1000 bottles), each bottle will be present in a collector’s case co-branded Chateau Beaubois and Atelier de Nimes, delicately closed with a satin ribbon blue and white. For the first time in the world of wine, the bottles will be dressed in a raw Denim blue. Celebrate the Denim fabric, born in Nimes many centuries ago with the French know-how. 378 wine shops, organic shops, specialty groceries resell our wines in France. This site is addressed to people of legal drinking age. To use the Website of CHATEAU BEAUBOIS, you represent that you are of legal drinking age in your country.